Since we launched it toward the end of 2017, we’ve generated millions of dollars in revenue from ‘The Relevancy Engine’… and now, through ‘Project Nuclear’. In the beginning I figured it would be a group coaching program, but it didn’t take long to realize this wouldn’t do the trick. The foundations behind building a 7-figure business are massive. And the transformation involved is huge (and different for everyone). So although building a coaching program seems to be the most popular approach these days, I knew we had to do things differently if we were to create the transformation and impact we wanted. So, what was the answer? You may wonder what the difference between a business mentorship program and coaching program is, assuming they both solve the same problem. Well, they are not the same. And in this article I’ll explain why (as well as revealing the 7-step process you need to create and leverage your first business mentorship program). Because this time last year, I had built two successful businesses into 7-figure success stories, and they both grew month-on-month. Yet as I entered the summer of 2017, I realized how unhappy I was. On the outside, I came across as this successful and happy person. That last point is huge. I mean, why else would you do this entrepreneur thing? Look, I had money. I had success. But with Leadcraft (that’s the old business), all we did was feed our audience with information. It was great content, don’t get me wrong, and it helped a lot of people in a big way… but it wasn’t enough. I wanted to help people transform their lives and business, not settle for one that made five-figures. 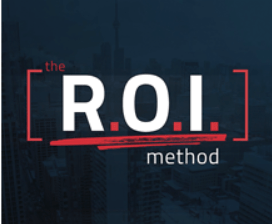 Now, if you’ve followed me recently, you have heard all about The ROI Method (if not, check out this detailed article). This new approach to marketing has blown up and is changing a lot of lives. Through The ROI Method, we’re helping our clients scale their $20,000 – $50,000 businesses to 7-figures (and then, through ‘Project Nuclear’, to 8-figures). But it isn’t through coaching. And it isn’t through a group program. AND it certainly isn’t through a detailed training course with hundreds of videos! Both ‘The Relevancy Engine’ and ‘Project Nuclear’ are Business Mentorship Programs that offers the hand-on advice our clients need. We guide them to where they need to go, ensuring they TRANSFORM their business in 90 days or less. … a coach is not enough — YOU NEED A MENTOR. So although my original idea for ‘The Relevancy Engine’ was a group coaching program, I quickly realized this wouldn’t work for the type of client we wanted. And it certainly wouldn’t be enough to create real, long-lasting transformation in their business. (in as little as 90 days). And because we succeeded (and created a level of transformation not even we could imagine), we’ve had to build another mentorship program (‘Project Nuclear’), so we can help those at $50,000 – $250,000 scale to 8-figures. This is why you need to stop thinking about a coaching program, and instead build a mentorship program that ensures your audience experiences real transformation. Because we focussed on mentors instead of coaches, we helped those inside ‘The Relevancy Engine’ exceed all expectations, redefining their business in ways they couldn’t imagine. I’ll show you some case studies later, but right now you need to decide whether you want to inform or transform your audience. Because a coaching program or training course will inform them. It will help them. And it will more than likely make you good money…. But if you want to transform them, you need a to build a Business Mentorship Program! 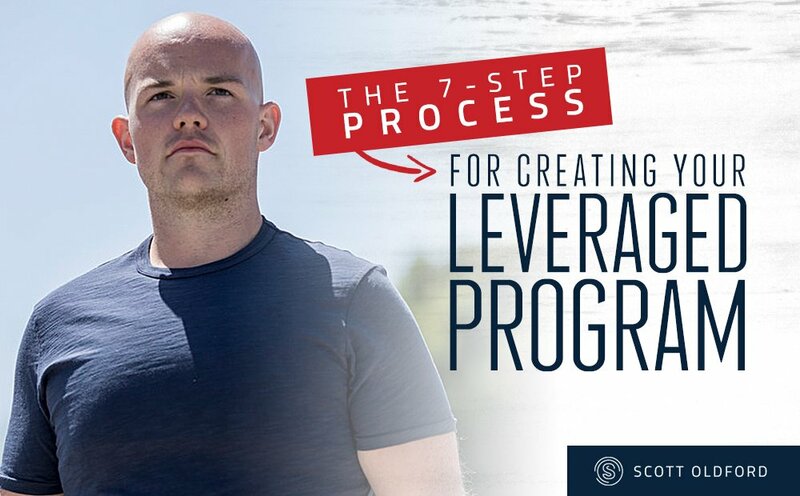 Below, you’ll find the 7-step process you need to create and leverage your own business mentorship program (and if you prefer to watch, I’ve recorded a video that walks you through it all…). A Business Mentorship Program offers your audience greater value because it guarantees them the success they want (now), and gives them a far bigger return on their investment. But a business mentorship program also offers YOU greater value, because you get to work with a higher calibre of customer who pays you what you deserve (and if you do it properly, you’ll personally spend less of your own time on this than if you build a coaching program). And the best part about TRANSFORMING your customers instead of simply informing them…? They grow quickly and love you for it! Prefer to watch? No problem… I’ve got you covered. But I don’t want to be one of them. And if you’re still reading this, I doubt you are, either. Back in the summer of 2017 when I blew up those old businesses, I realized I had a pretty large list (50,000+), but that I could only help a small group of them. For too long I tried to be relevant to too many people, and it lead me to create good but NOT great products. So I wondered what the alternative might be… and it was here I realized the only way to create long-term and sustainable success is to become the BIG fish in a small pond. This means you have to get specific about who your Avatar and Audience is, and then get even more specific about how you position yourself to them. In other words… You need to be relevant, omnipresent, and build intimacy and trust. If you don’t have this — or if your positioning is too broad — your ability to help someone is difficult. This is what we found when we tried to serve that 50,000+ list. It was full of entrepreneurs at different stages on the journey, so we wasted a lot of time trying to be relevant to them all. We magnetized those people who we could help. You need to do the same whether you’re starting from scratch or already have an established audience. We still have our 50,000+ list, and we still communicate with them, nurture them and give them access to most of our content. But the majority of them ARE NOT a good fit for ‘The Relevancy Engine’ or ‘Project Nuclear’. The same applies to you. Most of your audience will not be a good fit (or are ready) for your business mentorship program. You cannot build it for everyone, because all you end up with is a program that (at best) informs, but never transforms. But you NEED to transform if you’re to make this work. What stage on the journey is your avatar? How much money are they making right now? How much money do they want to make over the next 90 days? What are their biggest challenges, problems and pain points? What don’t they need more of, but trick themselves into thinking they do? What DO they need more of, but kid themselves into thinking they don’t? It’s hard to say what your avatar and audience is, because for some people it’s industry related, whereas for others it’s about where they are on their journey (and a million shades in between). All I know is… YOU NEED TO FIGURE THIS OUT before you do anything else. You need to get specific on your avatar. You need to get specific on your audience. You need to become the big fish in a small pond. As we built The ROI Method, we spent months thinking about this, speaking to our audience and asking ourselves… how can we transform their lives? But you have to get specific and you have to stay true to this once you do. It’s all well and good knowing who your avatar is, but it means nothing unless you solve their problem. 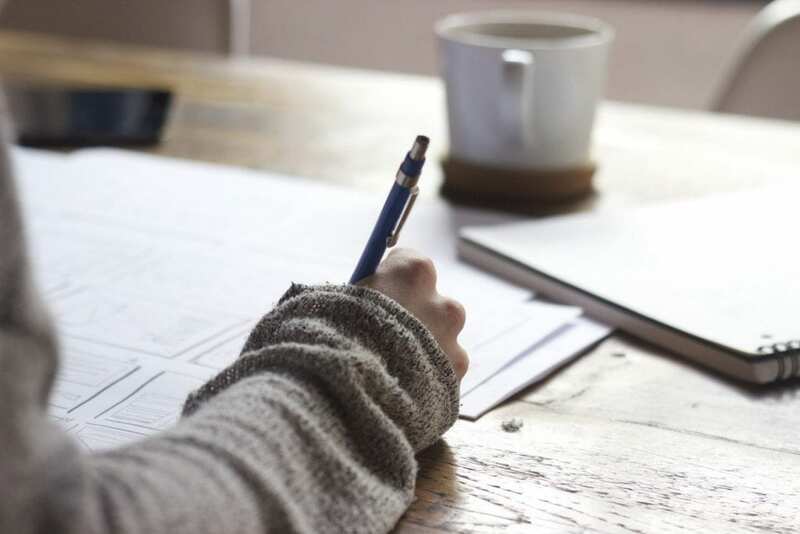 I talk about how you can create your unfair advantage in 6-steps within this article, so you may want to check that out next. The point is EVERYONE has an unfair advantage, but few people use it. For me, my unfair advantage centres around “big picture” thinking, taking a complex problem and coming up with a solution. I’m also good at creating massive exposure and building intimate relationships with people (one-to-one and one-to-many). You too have an unfair advantage, and you need to make sure you use it because this way you’ll make something unique that only you can. Once you combine this with a process other people can replicate, you end up with a specific method that has the ability to transform your audience lives. I first realized how powerful this is when I created The SSF Method. A method elevates you above everyone else, because it proves you’re the real deal. It allows you to explain what you do and how you do it, making it easy for people to buy into you without you having to do all the work. We’ll talk about this later in this 7-step process, but the point isn’t for you to become the main person inside your business mentorship program. You shouldn’t be the main salesperson, and you might not be one of the mentors. You need to create a program that doesn’t rely on you, and having a Method helps you do this because people can “buy into” you and what you’re saying without needing you to do the work. Like I say, I first did this through The SSF Method, but I’ve since evolved it by coming up with The ROI Method. This is what first attracts people, and everything we teach inside ‘The Relevancy Engine’ and ‘Project Nuclear’ is built on this method. But I’m not the one doing all the work inside these business mentorship programs. I play a role, sure, but we have an entire team that brings a specific skill-set to the table. And look, if you’re worried about how to come up with a method of your own, don’t be. Right now, you do what you do in a certain way. When you work with clients, you help them by taking them through a particular process (whether you’re conscious of it or not). You already have the process and you already have your unfair advantage. … you just need to write it down and evolve it into a method. I went through this exact process a few months ago, when I first started to work on The ROI Method. I thought about what comes natural to me, and how I create exposure and relevance with my audience. After a few days, I came up with The ROI Method (Relevance + Omnipresence + Intimacy). Sure, it was bare-bones at this stage. It’s evolved A LOT since then. And it had none of the specifics it does today. But I realized I had been using this method for years, and that if I could turn it into a replicable process… BOOM, I would literally transform a lot of lives! I didn’t have a business mentorship program at this point. That part of the process comes next, in Step 3. But what I did have was a method to share with my specific avatar, which helped me magnetize the “right” people and filter out the rest. Your method directs most of your marketing and content as you figure it out and experiment. Just check out my Youtube Channel and Entreprneur.com Column, because I used both to share ideas and better understand The ROI Method. This content attracted a lot of exposure, and brought a whole new audience my way. … you need to develop an OFFER that actually helps those you serve. This is the difference between information and transformation. Whereas if you want to create real transformation… you need to take it to the next level. You need to develop an offer that has a huge impact on them in 90 days or less. You need to package everything you did in Steps 1+2 into something special. You need to create something that will benefit both you and your audience. If you develop an offer that helps your audience here, you’ll reap the benefits quickly. We’ve already made more money through ‘The Relevancy Engine’ and ‘Project Nuclear’ then we ever did with Leadcraft (despite focussing on a smaller audience). But beyond the money, you get incredible testimonials that further drives your growth. Why? Because you’re transforming their lives, so they become true advocates who have your back. Just check out what a few of our “early” members of ‘The Relevancy Engine’ had to say.. If you want testimonials like this, the only work you need to remember is: TRANSFORMATION. We’ll talk more about how you can do this in the next three steps, but the best way to ensure you create a business mentorship program that truly transforms your clients is by making sure you help them scale and build success quickly. 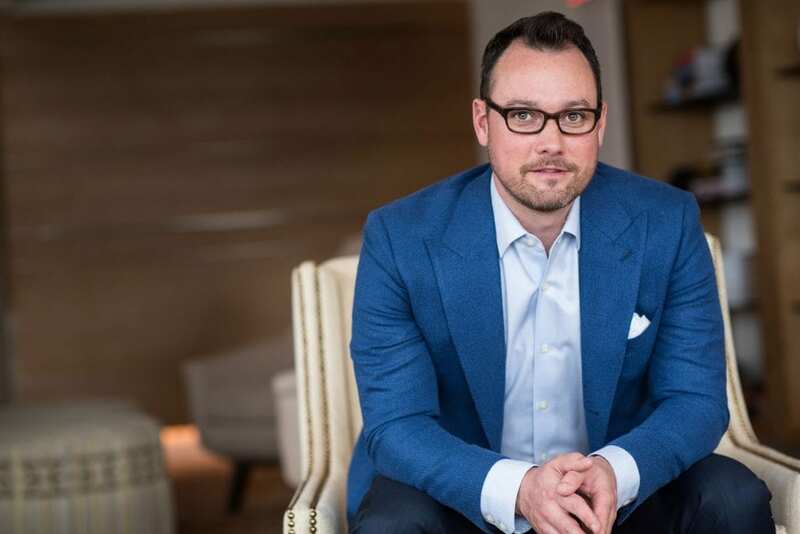 Ideally, within 90 days… One of my personal coaches is Todd Herman, a guy who’s helped thousands of high-performing business people, athletes and thought-leaders transform their lives by focussing on the next 90 days. The principles he uses apply to you and your business mentorship program, because most people can’t “see” beyond 90 days. That pain / problem / challenge your avatar faces… they need it fixing NOW. Your offer needs to achieve this. It needs to transform them quickly. It needs to help them in a big way NOW! If you develop your offer so it creates the transformation they need in 90 days or less, you will have the same problem we had when scaling ‘The Relvency Engine’: so many happy people who wanted more from us that we had to build a new mentorship program, ‘Project Nuclear’ 😉 (seriously… it’s the greatest problem I’ve ever had) When we work with our clients inside ‘The Relevancy Engine’, we turn their attention toward helping their audience create a massive impact within 90 days. A recent success story happened when we worked with Ross & Rachel, who on the back of the advice from their RE Mentor created an leveraged a new program practically overnight. The impact this had on their business? From $20,000 per month to $90,000! We’re currently creating an in-depth case study about how they did this, but to break it down for you… they didn’t have an offer that created an instant impact. So as well as helping them become Relevant + Omnipresent + Intimate with their audience, we guided them toward creating a new program that focussed on transformation. They were able to help their audience quickly, and it resulted in almost 5X growth. This is how powerful creating a business mentorship program can be, but maybe you’re wondering how you do this… what you need to do to bring this all together? Put simply, a coach’s job is to “clarify” and “verify”, and keep you accountable. This is fine under certain circumstance, but if your aim is to create real transformation in 90 days… it is NOT enough. Whereas the job of a mentor is to bring real-world experience to the table, and to act as your customer’s “guide” up the mountain. This means they progress much faster, and in general provide much more in-depth, practical and relevant advice that will help your customer NOW. Why do they hire you? Why do they come to YOU? Those who come into your business mentorship program only care about the outcome you produce for them. It’s not to say the details don’t matter or they won’t remember anything else, but without a positive outcome they will not care about anything else. If you hire mentors as part of your program, you can charge a premium rate. Your mentorship program fees go from $2,000 to $10,000+, which means more bottom-line profit for you. Remember earlier when we talked about how you shouldn’t play a huge role in your program? The key to this is by hiring a rockstar team, and it’s here where a mentor makes your life A LOT easier. So long as you give them a method and framework to work from (more on this soon…), your mentors can create magic again-and-again. In my experience, this doesn’t happen with coaches. This is what we have done with ‘The Relevancy Engine’. Initially, I envisioned it as a group coaching program, but I knew it wouldn’t produce the transformation we needed. So I took the risk and involved some of the brightest people I know, spending 5-8X more than I would if I hired coaches. One of the best investments I’ve ever made! Hands down, this decision is why ‘The Relevancy Engine’ has scaled so quickly, and why our customers have produced MASSIVE results. Our mentors are world class, so they push those inside ‘The Relevancy Engine’ to produce world class. This only scratches the surface, and we continue to add new world class mentors into our programs all the time. And you just don’t get this when you hire coaches. So if you want to create and leverage a business mentorship program that scales fast and becomes a business that doesn’t rely on you each day… you need to hire MENTORS! Bring A-Players to your table. And empower them to do what they do best. Quality over quantity, every single time. Maybe you’ve noticed a trend over the last two years, where EVERYONE seems to have a course. In the beginning, it worked. But today… everyone (you, me, your audience…) drowns in it. And look, I’m guilty of this. Not long ago we were part of the problem, basing Leadcraft around content and training and more-more-more (50+ hours of video, and more written content than several books). We produced and shared quality content, but nobody really cared because most people don’t have the time to read, watch and listen to everything they would want to. Plus, this isn’t how you grow a business. Real transformation comes from WITHIN. It comes from a 3 minute video that inspires a person to ask the “right” questions and go in the “right” direction. If you do this and combine it with expert mentors who know how to guide them in this right direction… well, you create a program that transforms your audience in ways they cannot imagine. Whereas if you create a program with 100+ lessons that covers EVERYTHING, good luck to you. We still got this wrong with ‘The Relevance Engine’. As you read this article, we’re working on version 2.0. It will have 60% LESS content! At the time, we didn’t think we were producing too much. We thought we created only the content our audience needed. But we didn’t. We did too much and most of it has gone unwatched and unused. Whereas the content they do consume… massive impact! So if you find yourself with 15 hours of video content in your own business mentorship program, half it. You don’t need it, and more important, neither does your audience. It’s about as little as possible. Use content to get them into your business mentorship program, sure. Record videos, write articles, perform webinars and provide as much values as you can. But once they’re inside, dial it back and give them as little content as you can. Their transformation comes from your mentors using this relevant content in the “right” way. I’ll be honest, I didn’t realize how important this was until we tested ‘The Relevancy Engine’. In the beginning, I created the content inside based on how “I” do things. This forms the basis of The ROI Method, and it needs to because it’s part of my unfair advantage. But when I began to work with our clients (and then, as I helped train our mentors) I realized we needed more flexibility. Because each person you work with has a unique set of situations. Often, there industry is, too. But most important of all… they are different. They have a unique personality. They have a unique way of working. They have a unique way of operating. They have a unique mindset and outlook. This means your business mentorship program should be flexible, allowing your mentors to use the “right” info, at the “right” time and in the “right” order, based on that unique customer’s circumstance. If you create a strict formula that says you need to do it in a certain order and at a certain time, you’ll struggle to create the transformation you desire. Whereas if you build a FRAMEWORK that acts as a guideline… you give you, your mentors and the rest of your team the flexibility to excel! And if you obsess over this, it’s your ego talking. It’s your own insecurity and obsession that you are right and that they must do it your way otherwise they’ll fail. Your business mentorship program is there to amplify your audience’s own unfair advantage, to get THEM the best RESULT for THEMSELVES. A formula locks them and you into a certain way of functioning, whereas you can apply a framework “on top” of someone’s existing life, business and unique set of circumstance. BUT this only works if you trust your team, which is yet another reason why you need mentors because they’re experienced and talented enough to take your framework and use it properly. I won’t go into it all here, but the main reason I hate live launches is that they focus on scarcity. Well, a scarcity mindset is one of the biggest reasons most entrepreneurs fail (or never live up to their potential). I don’t want to prey on this with my audience anymore, which I used to do for a long time. This is how we made a lot of money through Leadcraft, but it’s also one of the main reasons I slipped into depression and ended up blowing two businesses (and life as a whole) in the summer of 2017. In the short term, scarcity makes you money. But in the long term… it never (ever) will! And it certainly won’t help you transform your audience and help them level-up. Live launches aren’t good for you, either. They do nothing but fuel feast-or-famine mode. So if a live launch isn’t the answer, what is? Simple… create an Evergreen Business Mentorship Program from the beginning! This is how we run both ‘The Relevancy Engine’ and ‘Project Nuclear’. And this is one of the fundamental values behind The ROI Method. Using The ROI Method, we help our clients build Evergreen businesses that make launches redundant. No more occasional spikes. No more feast or famine. No more stress and chaos of having to plan and strategize on a launch that may or may not work. This is how we help our audience scale from $20,000 — $50,000 per month to 7-figures (and then 8-figures). We show them how to use The ROI Method to redefine their marketing, but also help them build the “right” products and services, so they can make the most out of this growth. Because what’s the point of building a 7-figure business if you aren’t helping your audience? … if all you’re doing is fueling this world of information when you could create transformation. If you’re still reading, maybe it is for you, too. You’re not alone, if so. Here’s what Pat Brewer had to say …. Pat runs a marketing and consulting company exclusively for financial advisors. When he started with the R.O.I. Method, he was generating around $20k-$30k a month. Now, within 90 days of implementing this into his business, he’s cleared multiple $100k months. Then there’s Wade Walters …. Wade loved how his personal mentor challenged him to achieve what he had previously seen as impossible, and how this lead to him making back his initial investment within the FIRST WEEK of enrolling! And here’s what a bunch of people are saying about ‘The Relevancy Engine’ …. These are just a few examples of people going through our own Business Mentorship Program, and who we have helped build similar transformational programs that are changing lives each day. If you’re interested in doing the same, and you like the idea of working with expert mentors who have been there and done it, and will ensure you transform your own business and life in the next 90 days, you may be a good fit for our own business mentorship program. It’s called The Relevancy Engine. This is for the entrepreneurs ready to impact their clients at their highest possible level; for those ready to their grow revenue, audience and relationships. It’s for those ready to create a legacy that will last for years, and who want the strategic guidance of a mentor, not a coach. In 90 days, we help you implement a massively Relevant marketing message, become Omnipresent with it, and develop Intimacy.